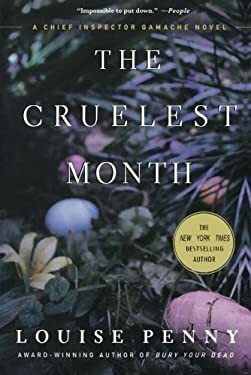 Welcome to Three Pines, where the cruelest month is about to deliver on its threat. It's spring in the tiny, forgotten village; buds are on the trees and the first flowers are struggling through the newly thawed earth. But not everything is meant to return to life. . . When some villagers decide to celebrate Easter with a seance at the Old Hadley House, they are hoping to rid the town of its evil---until one of their party dies of fright. Was this a natural death, or was the victim somehow helped along? Brilliant, compassionate Chief Inspector Armand Gamache of the Surete du Quebec is called to investigate, in a case that will force him to face his own ghosts as well as those of a seemingly idyllic town where relationships are far more dangerous than they seem. Copies from Other Sellers Find out more about shipping times from these sellers. Used Good (1 available) HPB INC.